being resourceful, innovate and flexible. • Experienced to develop fixtures for special type of works. 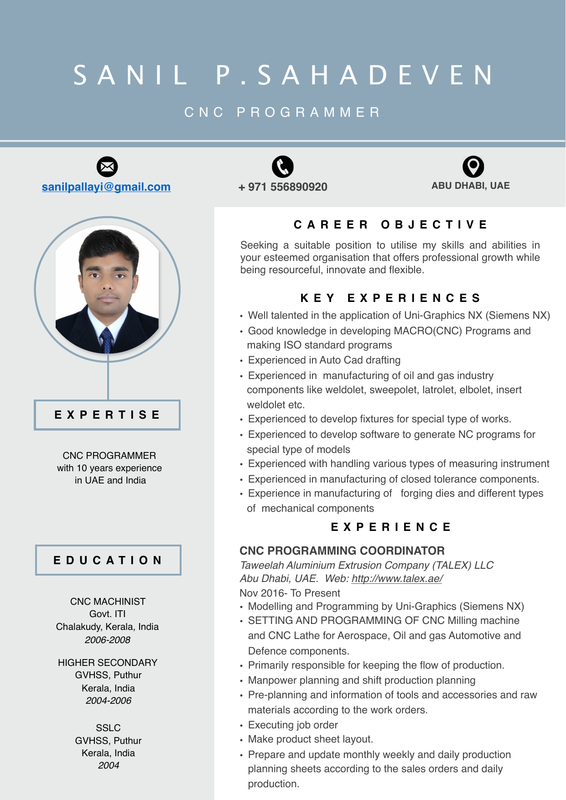 • Experienced in manufacturing of closed tolerance components. • Primarily responsible for keeping the flow of production. materials according to the work orders. • Make product sheet layout. according to the available tools and as per the requirement.